Did you know you can wind decorative yarns and ribbon on a bobbin and sew upside down? This speciality technique is coined Bobbinwork. When sewists start to push their sewing machine’s limitations they often look to sew with thicker decorative threads and yarns. These thicker threads and fibers do not fit through sewing machine needles. It’s time to explore what and how to wind these fibers on a bobbin. For those that dare to color outside the lines. Bobbinwork is for you. 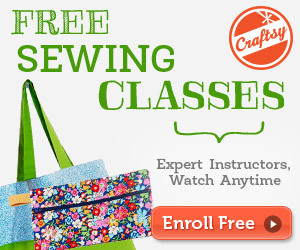 Wow your sewing friends with stitches that pop by adding bobbinwork to your next sewing or embroidery project. From decorative stitches, straight line sewing and free motion quilting, bobbinwork says you know how to make your sewing machine SING! Below are highlights for successful Bobbinwork starting with owning a second bobbin case and why. Many sewing machine manufactures make a speciality bobbin case for bobbinwork. These bobbin case are not the same bobbin case that came with the sewing machine. They usually are a different color and have a longer screw to adjust the tension setting depending on the thickness of thread. It is NOT recommended to adjust the bobbin case tension of the bobbin case that came with the machine. That bobbin case has been correctly set for sewing thread. Leave it be. Once you own a second bobbin case you can adjust it at any time – tighter tension for thinner decorative threads and looser tension for thicker threads. Have fun and play knowing you are not goofing up your original sewing machine’s bobbin case tension at all. What if a Speciality Bobbin Case is Not Available for My Machine? Some generic sewing machine brands do not offer a specific second bobbin case for bobbinwork. In this case, purchase a second identical bobbin case for your machine and keep it in a special bag or box with a big note on it so it does not get mixed up with your original bobbin case. The screw on the side of the bobbin case can be adjusted based on the fibers selected. Look for yarns and fibers that are smooth and have minimal texture. Fibers must pass through the bobbin case’s tension area like a regular bobbin thread. Run your fingers across the fiber to feel for any rough spots that might give a sewing machine fits. The thread that is put in the needle is usually a medium to thicker thread. This will help tighten the tension to accommodate the bobbin thread and fibers. It is easiest to match the color of the needle thread to the color of the fibers in the bobbin. Clear or nylon thread is also an option for a needle thread. Adjust the bobbin winder’s speed to wind slower than normal. Hold the fibers with a little resistance between your fingers and let the bobbin winder spin it on to the bobbin with a little hand-held resistance. Adjusting the bobbin case tension to accommodate the fibers takes a little practice. Gently guide the fiber into the bobbin case tension and give it a little pull. If it pulls tight, loosen the bobbin case screw until there is a little (not much) pressure on the fiber as it is pulled through. Error on the side of “too loose” if you need to choose. The sewing machine’s top tension will need to be tightened when working with bobbinwork. Start by added 2-3 numbers higher to begin with. Add more as needed to create a pretty stitch. For the decorative thread in the bobbin to show on the right side of the fabric, you will need to sew upside down. If sewing with decorative stitches, be sure to use a stabilizer such as tearaway to support the heavier stitches. Flip the fabric over and go to town! When stitching decorative stitches with bobbinwork, select stitches that have a simple pattern with not too many needle points. A dense stitch will turn into one big mess. Some stitches will look better lengthened to accommodate the thicker thread. There is only one way to find the stitches you love for bobbinwork – try them out! Yes, please! Once the machine is set up for bobbinwork, switch to a free motion quilting foot, flip the project over and take off. Be sure to keep the movement of your hands a bit quicker…short stitches are not ideal when the bobbin thread is thick. 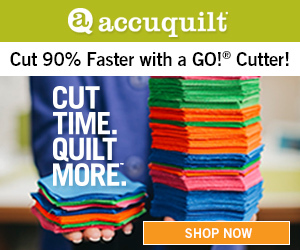 Work to achieve a much longer stitch length than normal free motion quilting. It is key to test stitching with the decorative thread in the bobbin but don’t test too much! There is significantly less yardage on the bobbin. After a couple rows of test stitching, check how much thread remains on the bobbin before attempting the next row! Use Bobbinwork with a Circular Sewing Attachments. If you own a Circular Sewing Attachment, add bobbinwork to the endless list of sewing techniques that can be accomplished with it. Follow the link below to read more on bobbinwork as it relates specifically to a Bernina sewing machine. Wether you are looking to push some sewing boundaries or you have a box full of yarns and fibers you want to use, Bobbinwork is a technique everyone should try at least once. Thanks for the extra tips. I have a second bobbin case intended for such but have not felt educated on the technique. Now I have to try it! PS I marked mine with a permanent metallic pen in case I ever question which is which.